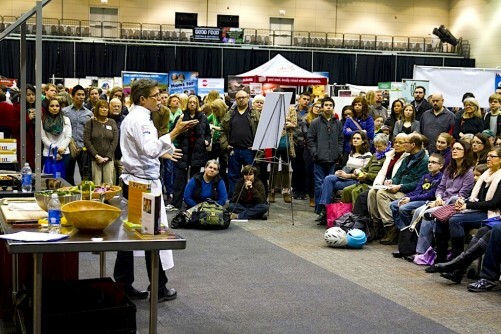 Those of us who are fully engaged in the Good Food movement get to work with a whole lot of bold people. Farmers taking on the age-old challenge of growing food and making a living against the vagaries of nature and markets. Organizations and businesses helping to build or rebuild food-based economies in areas, rural and urban, that are struggling economically. Entrepreneurs who start up and scale up businesses, building the market for Good Food while stimulating economic growth and creating jobs. Rumi Spice saffron. Photo courtesy of Rumi Spice. But Kimberly Jung and Emily Miller of Chicago-based Rumi Spice are in a league of their own. The co-founders of the company, which pays farmers a premium to grow flowers that produce saffron rather than opium poppies, are genuine heroes. Jung and Miller related the story of Rumi Spice Wednesday night at a Community Dining event in Chicago’s Lakeview neighborhood. They were introduced by Jim Slama, president and founder of FamilyFarmed, which provided Rumi Spice with advice and connections to buyers that have helped the company grow, and made Rumi the pilot project in the non-profit organization’s developing Incubator Without Walls program. Jung and Miller, who became friends while attending the U.S. Military Academy at West Point, risked their lives serving in the Army during the war in Afghanistan. Jung disarmed roadside bombs. Miller, as a member of a Cultural Support Team, was attached to a Special Forces unit and went out on night raids against terrorist targets to work with women and children in the affected communities. 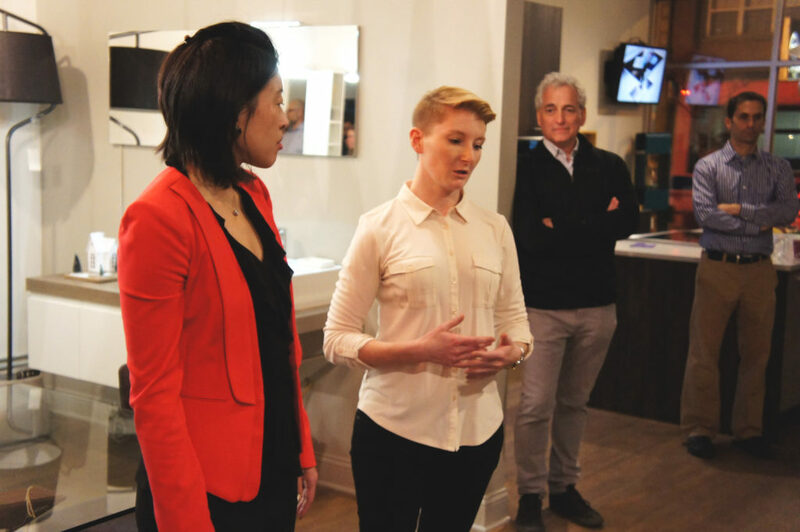 Kimberly Jung (left) and Emily Miller, co-founders of Rumi Spice, explain the company’s effort in Afghanistan during a Community Dining event in Chicago on Jan. 18, 2017. FamilyFarmed President Jim Slama (left background) and Community Dining founder Paul Sippil look on. 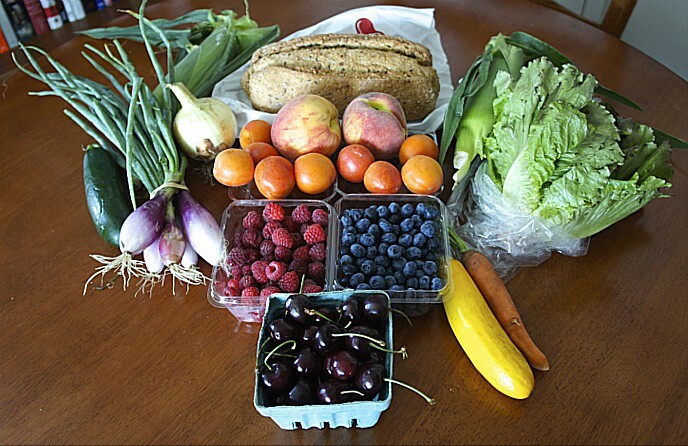 Photo: Bob Benenson/FamilyFarmed. After they mustered out, the women attended Harvard Business School. 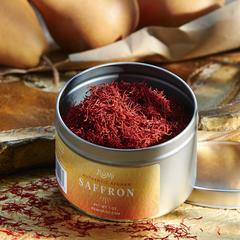 They soon connected with Keith Alaniz, a fellow Afghan war vet who had learned of Afghan farmers who were trying to find an international market for their world-class saffron — the dried stigma threads of the crocus sativus flower that is the world’s most expensive spice. Jung, Miller and Alaniz founded Rumi Spice, and began sourcing from Afghan farmers, employing Afghan women to harvest the delicate stigmas (a painstakingly labor-intensive process), and selling the product in the United States. The farmers are receiving five times the amount of income than they were receiving for growing opium poppies — the source of heroin, which Miller said is how terrorist operations such as the Taliban and ISIS finance their operations. “Afghanistan is the number one source of opium in the world, so it is a huge problem, not only from a medical standpoint, but also that’s where these organizations get their money,” Miller said. 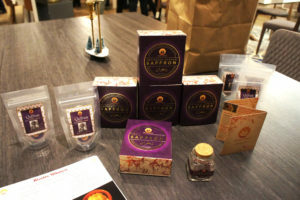 Rumi Spice recently redesigned its packaging to place strong emphasis on its saffron’s Afghan origins. Photo: Bob Benenson/FamilyFarmed. Their efforts have attracted some high-level media attention, including an August 2016 article in the New York Times. Meanwhile, the quality of the product quickly drew the attention of top chefs such as California’s Thomas Keller, New York’s Daniel Boulud and Chicago’s Carrie Nahabedian. 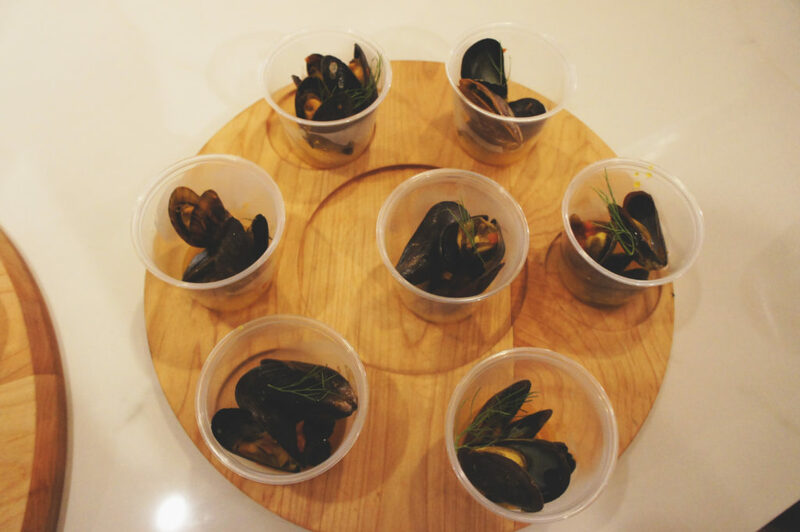 Chef Aram Reed designed a menu of appetizers for the Rumi Spice event that incorporated the company’s saffron, including the mussels below. Photos: Bob Benenson/FamilyFarmed. Rumi Spice also benefitted from its alliance with FamilyFarmed, which has helped the company find placement in retail outlets such as Whole Foods Market, Chicago’s Local Foods, and stores serviced by distributors such as UNFI and Fortune Fish & Gourmet. “We’ve been very fortunate to be part of FamilyFarmed,” Jung said. These customers have helped Rumi Spice to grow quickly. Miller said that in just more than three years, they have gone from working with 11 Afghan farmers to 95, and after starting with 35 women in the processing facility, there are now 380. In the company’s first year, it sourced about 100 kilograms of Afghan saffron; this year, the owners expect to source 250 kilograms. This may seem like a tiny amount, but as Jung pointed out, a Spanish paella (the rice-based dish that many people identify with saffron) requires just four to six threads of the potent spice per serving — and there are somewhere in the neighborhood of 500 threads in a single gram. 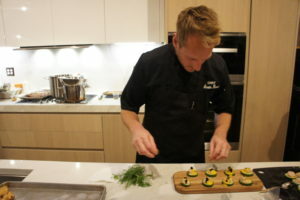 The event featured delicious appetizers, crafted by Chef Aram Reed and his kitchen team, all of which included Rumi Spice saffron. This entry was posted in Food activism, Food and community, Food Artisans, Food Entrepreneurs, Good Food and economic development, Good Food Business Accelerator, Good Food business development and tagged Afghanistan, Chef Aram Reed, Community Dining, FamilyFarmed, military veterans and food business, Rumi Spice, Rumi Spice saffron, saffron. Bookmark the permalink.